The dreaded day has come… This is the final issue of Valentine’s amazing run on a book that has unfortunately been forgotten and neglected by many readers – a symptom that we can largely blame the previous creative team(s) for. And quite frankly, that’s a shame considering the quality of this book lately. I want to take a moment to honor the work Valentine has accomplished within such a short time. This wasn’t just a “good” Catwoman/ Selina Kyle story. Saying that its “good” doesn’t do it justice. It’s spectacular. This is an arc that will forever play a part in defining who Selina Kyle is as a person, how the Catwoman persona fundamentally impacts her, and the grasp that Gotham has on her. Within ten issues, Valentine rebuilt Selina’s foundation, threw her into a new world, introduced a worthy villain, created a strong supporting cast (Antonia, Penguin, Killer Croc, Eiko, etc), and not only made Selina relevant in Gotham again, but made Gotham itself feel relevant again. She remained aware of the happenings within Gotham from other books, and peppered in the consequences of these events throughout her run. And all the while, she kept Selina, Catwoman, true to herself, tip-toeing the line of morality the entire time. The “standard” for writing Catwoman is widely considered to have been set by Brubaker. But to be frank, I think Valentine – had she been allowed to continue whatever it is that she had planned – would’ve topped Brubaker. And that is no jab at him. I loved his run, and this book probably wouldn’t be what it is had it not been for him. Hell, a number of the elements in Valentine’s run are, at the very least, a nod to Brubaker’s Catwoman… But when you look at everything that’s happened over the past ten issues, and then compare that to the first ten issues of Brubaker’s run. Ten issues into Brubaker’s run, Black Mask hadn’t even made his presence known. Think about that. If you’re familiar with both of these runs, really think about that. So much happens after the tenth issue of Brubaker’s Catwoman that made the series epic, and Valentine, narratively, was out-pacing him. And that is what makes this so bitter: the untapped potential. The web of plots that were being weaved from the very beginning that will never see the light of day. It really is a shame. And it only becomes more of a shame when you read this issue. It’s the last story of a fantastic arc, and instead of the creative team being able to completely close out their story to the best of their ability, Instead, Valentine are Messina are responsible for not only closing out there run, but setting up the next run as well. This issue isn’t great… it just is. It’s a transition. It serves its purpose. It sets up the next run. And despite those facts, Valentine manages to breathe as much life and meat into this script as possible. Eiko’s story is wrapped up beautifully, and while no plots are left blatantly left dangling, characters like Antonia, Ward, and Penguin didn’t get the closure they deserved. 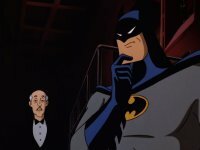 Plots that were just in the simmering stages of their development (Selina’s search for Batman, the P.I. hired to investigate Batman and his team), are ended abruptly. The issue isn’t what I wanted, but in retrospect, it’s better than I would’ve expected considering it’s a transition. I don’t blame this creative team at all. They delivered their best, with what they had to work with… and now we get to move on to another generic interpretation of Selina Kyle striving to complete the score of her life… Well, it was good while it lasted. I’m not going to do a breakdown of the book, so I’m sorry for anyone that was looking forward to seeing my thoughts on the details of this issue. We can definitely discuss this in the comments if you want to bring up specifics. If you’ve been reading this run, then you should pick-up this issue for the comfort of closure. If you haven’t been reading this run, then you should pick up the trades. You’re missing out if you don’t. For a peak at some of the art, check out the spoiler tag. You’ve been reading Valentine’s Catwoman. You’re eager to know how Eiko’s arc is closed. You want to see how Selina ends her time with the mob. Overall: Valentine closes her run gracefully, and her work will be greatly missed. When I started reviewing comics, Anne Nocenti was writing the tragedy that Catwoman was at the time, and I actually volunteered to take the title… I did it because I love Selina Kyle/ Catwoman. I knew the type of stories that could come down the pipeline with a new creative team, and I was willing to take that risk… And then I crossed my fingers and toes and hoped it would come soon…Thankfully, within a short amount of time, Valentine made her debut… and the result was better than I ever could’ve imagined. I’m incredibly glad I not only got to experience this arc, but that I was also able to cover this book during her run. I give Valentine’s Catwoman a 9/10.